Hey, Google, take control of Android already, will ya? Google’s (s goog) open approach to Android has certainly helped build the platform’s user base: Android powers more than half of the world’s smartphones. Whether you love Android or hate it, it’s difficult to argue that this level of adoption is anything less than a success. Android debuted as a clunky operating system with few apps in Oct. 2008, but since then it has improved and grown. But Google’s openness — allowing anyone to use the platform — might not be the best strategy for keeping its lead. Regardless of who’s right and who’s wrong on this particular issue, it illustrates a bigger problem for Android. Instead of reducing version fragmentation, getting updates out faster, and having consumers expect a consistent experience across all phones, the situation is really no better now than it ever was. I had hopes Android 4.0 would help, but the reality is that 6 months after Android 4.0 launched, few phones are running the new software: only 4.9 percent today, based on Google’s own data. Compare that with the 10 months it took for 75 percent of Android phones to run Android 2.0 or 2.1. Bear in mind that while I use Android every day, I also use iOS on a daily basis. I occasionally use Windows Phone (s msft) as well. My point here isn’t to suggest that Android is crap and people shouldn’t use it. But the best Android experience, at least in my opinion, is only offered by Google’s own Nexus devices. Sure, there are some outstanding Android phones with faster processors, better cameras and customized software improvements that make them great handsets. But at the end of the day, if you’re not using a Nexus, you’re at the mercy of your handset maker or your carrier for updates. And those won’t likely be timely; Motorola(s mm) explains why in this blog post. Plus, your carrier can always determine which features you can or can’t use on your handset; Google Wallet works great on my Galaxy Nexus, but the Verizon(s vz)(s vod) LTE version doesn’t support the service. The problem Android faces today is the one it has always faced but has never been able to tame: a lack of control. For Google to truly address the problems Android faces, it will have to “own” Android. By licensing the platform as it currently does, Google has limited control over what hardware makers do with Android. That could be part of the reason Google decided to acquire Motorola Mobility: It could offer Android devices that have unique functions or features, even as it uses Motorola’s patents to protect Android at large. Patents or not, Motorola could be the key to Google’s taking Android back. Using Motorola to begin taking control back of Android is fairly obvious, but the reasons to do so aren’t. Google has used its open approach to let Android proliferate like a virus, and that has led to hundreds of devices on networks all around the world. Think of these as little Google terminals where the company can gather information; Google keeps its finger on the pulse of mobile through these Android devices and sells mobile advertising based on that data. And for now, Google is recording the heartbeat of more than half of all smartphone owners. But that may not continue forever. Opinions will vary on this, but I think Android is at the top of its game right now — or at least it was recently; the exact timing isn’t important. What is important is to “go out on top” and take control now before Android loses any momentum. Right now carriers and consumers want or need Android to exist. Why? Because not everyone wants an iPhone, regardless of the benefits iOS may bring — namely consistency, control and stability, three words I wouldn’t equate with most Android phones. If Google were to take control of Android now, it would be difficult for carriers and handset makers to rebel. Apple has no LTE handset yet, so operators are pushing Android devices over the iPhone in some cases. Hardware makers have few other choices to turn to as well. They could opt to embrace Microsoft’s Windows Phone, but the consumer demand isn’t there yet. LG recently suggested it wouldn’t be building any Windows Phones until consumer demand warranted it. Let’s face it: Google has carriers and hardware makers in a position where it could dictate Android’s future use, at least for a little while. Such a move would surely give hardware makers pause to work with Google in the future. But for the mobile market, I see little viable option. Would Samsung, HTC, LG and others simply stop supporting Android? I don’t see how they could, given the slow uptake of Microsoft Windows Phone. Perhaps one could buy Research In Motion or license BlackBerry, but even that’s a risky proposition at best. Tizen, another mobile platform formed from the old MeeGo project, is another option, but it has the same open-source approach as Android, so little would be gained by using it. Open worked up to this point. Can it continue to work? 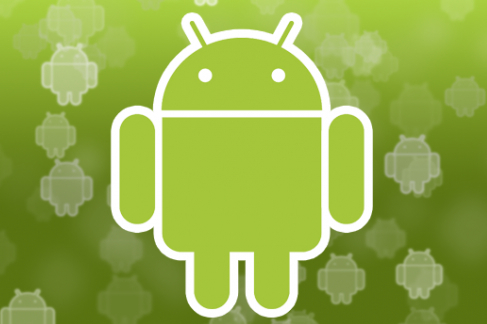 Without a doubt, Google’s open approach has helped it build the Android user base. It gave consumers and software developers a viable choice as compared to Apple’s walled garden, and it provided dozens of hardware makers a chance to stay in the smartphone game. But as Android’s “Wild West show” continues — or even the perception of it — consumers are likely to turn their back on Android over time. 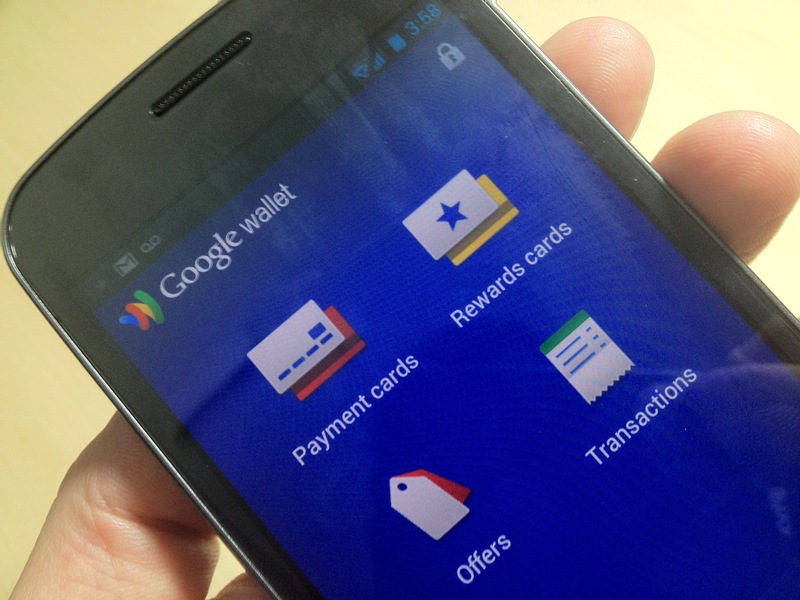 For that reason, Google should consider a change and control its mobile destiny directly. And the longer it waits, the less likely it is that such a move will pay off. Google should have a staged release. It should give the carriers/manufacturers 2 months private head start, with non-disclosure agreements. No new devices can come out before the Nexus device has had 2 months to shine. By then, the companies will have enough time to ready android for their new phones, and begin the updating cycle early. Google should also require all apps and pre-installed content to be removable. And they should work harder to look and make sure the newest OS will be somewhat easily backwards-compatible (easier & faster ways to design around hardware variation). This next one is just me, but i think the manufacturers should start charging $5-10 for major device upgrades (gingerbread to ice cream sandwich, etc). This would give a revenue stream, aka motivation, to quickly upgrade the software before they lose the customers. Then if the consumer wants to skip the update, they can at their own loss. There would probably also be more marketing for how good the newest OS is as well to convince people to upgrade. just sayin. Open source == freedom, lowers the cost of entry and innovation, and promotes collective sharing. We also rely on it every day, from the browser that you’re looking at, to the HTML that composed this article, the router that sent your request to the server, and the server software hosting it to the world. Closed holds us back. I’m glad that Google is run by visionaries that appreciate the idea of openness. Closed is the wrong way forward. Do consumers really want a ‘consistent appearance across all phones’? If they did then they could join the ranks of the iclones. Android is all about choice and differentiation. Tech bloggers are the only ones crying about fragmentation because they all carry around 3 phones at a time. The average consumer doesn’t care because they only get a new device once every 2 years and they welcome the enhancements each time. Fragmentation is just a word that Apple fanboys use to describe an ecosystem with more options. BBB I dont know where you have been lately but in my view none of the Android ‘skins’ are worth it. They are all failures. Sorry but I would prefer a crafted and controlled Android experience steered by Google with input from manufacturers. The current model has clearly failed and needs major adjustment. The stock ICS experience is the best at the moment and unfortunately only Galaxy Nexus and Nexus S owners get the joy of this superior version of Android. We need the manufacturers to focus on hardware and apps not wasting time on skins. I agree completely. in fact, I would suggest that the manufacturers need to focus on hardware and leave all software alone because they aren’t good at it. They make just as much money if they only sell the hardware. Google, on the other hand, cannot. It doesn’t sell to anyone except customers and the carriers are not dealing with Google directly, they’re dealing with handset makers. Is it an issue? Absolutely, but I don’t know how Google can fix it. Even Microsoft is unable to force AT&T to release updates when it makes them for Windows Phone 7. When I had my iPhone (3 & 4) I wasn’t happy how constrained it was. As a long time PC user, I’m accostumed to custimizing my interface for maximum efficiency to suit my needs. Thus, my decision to jailbreak. But when I got the Android Infuse, I saw no reason to Root the device because all of the FREE apps on android have done the job. Problem is, the Infuse is such a piece of junk I feel compromised by it. It locks constantly and can take up to 5 minutes to shut down and reboot back into action. I would never recommend anyone to but a Samsung and I’m iffy on all Android because it’s pot luck if it will work well or not. I would hope that a software upgrade would correct this problem plagued Samsung Infuse Android phone, but I sincerely doubt that it will live to see that day. The carriers don’t care to much about anyone that has had a unit for more than the time allowed to return it for a full refund. Small correction: there is Nexus S for AT&T. It seems that worldwide versions are getting updates much earlier than US. Karen, thanks for catching that. For some reason the Nexus S disappears from my memory banks every now and again. Probably because I still had a Nexus One at the time the S arrived and I didn’t find it enough of step up to move to the S! ;) I’ll make that correction now; thanks again! This article is probably very US centric, where carrier subsidized/sold handsets are the norm. In most other markets, carriers do not exercise the kind of control, on handset features, that is done in the US market. Today, the largest and fastest growing market for Smartphones is China, and I believe the other BRIC countries are going to catch-up soon after, so the relevance of most points raised in this article would get diluted. 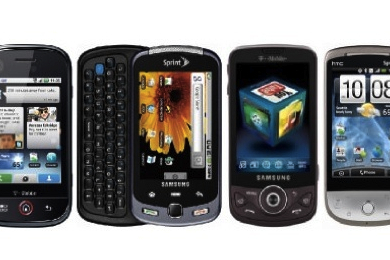 In fact, talking of alternatives, I am surprised that there was no mention of WebOS. If Google was to alienate carriers and hardware manufacturers, there is a risk that MS will step in with the new Metro GUI and allow carriers to call Google’s bluff: “So? If you don’t play ball, we’ll just use Windows based phones moving forward. What are our users going to do? Go to Sprint? Pffzzzt. Yeah, right.” There’s enough competition from Apple and Windows8 (you know Nokia/MS will subsidize the hell out of this system when it’s released) that Android will immediately suffer market loss within months of alienating AT&T/Verizon. The number one reason Android is so popular is simply because so many Android phones are subsidized at $0 or $99, whereas Apple has always been a premium choice. If the carriers were giving away iPhones as part of a 2 year contract, the number of iOS users would easily surpass Android. MOST users buy on a budget and only Android fits that bill. What the carriers giveth, the carriers can taketh away. It sounds like Goolge should cheat HW manufacturers, and close the platform for its own. Cheat those, who really made Android success happen. If so, then it is very bad move for karma. Awesome post and I am all for this! In fact I surmised that the Google “Device Store” could in fact be a place where people could purchase Stock Android experience phones from many manufacturers – bought off contract and possibly slightly subsidised by Google.. I wish this will happen. As I only purchase Nexus phones at the moment – all off-contract with no Carrier interference. You cant expect OEMs and carriers to release new phones and updates to existing phone on the same day Google drops the open file. Designing, manufacturing and distributing phones with new OS updates takes time. OEMS and carriers will always concentrate on getting new phones out first. Then they will move to existing phones. The most recent released phones will be updated first and then work backwards. Android users need to accept that this cycle will begin about 6 months after Google drops open code. Look at Gingerbread. The general release window was July/August 2011. So if Android 4.0 reaches general release in the July/August 2012 time period….that’s about a year. More or less the same as iPhone. As far as what phones get updated…backward mobility for Android updates really need to be held to the last 12 months….otherwise the advance of Android as a cutting edge OS will be slowed. That truly has been Android’s biggest advantage…the ability of the hardware and software to be maximized as much as possible. Of course not. However, Apple and Microsoft don’t seem to have a problem rolling out new releases to all applicable devices in ONE release once it’s ready. Why is this so? Because they manage their ecosystems, including hardware and carriers. Google needs to step up big time and put some order in the system. No individual manufacturer or Carrier is going to fix the Android mess. The responsibility lies with Google. Apple produces one series of phones. It spends months before the release preparing for its annual update. MS similarly restricts the specs of WP7 phones. Thus allowing them the same ability as Apple. But here’s the thing…that control stifles innovation of the end product. As much as people complain about the “fragmentation” of Android…each OEM, working with carriers contributes to the diversity that makes Android so popular. Think about the choices available with Android. Screen sizes and technology. Processor options. Cameras. Audio. Do you honestly think that the mobile world would be better off with a duopoly of Apple and MS. Or even a triumvirate of OS all walled in. You either appreciate what Android offers…and therefore accept the limitation that go along with it…or you don’t. Users don’t care that much because they don’t get new phones very often, and they just adapt when they do. The interface is simple enough for anyone to use, and people like saving money. Google doesn’t care that much because the competition in the android space drives lower costs which drives more market share for them, and frankly they aren’t in it to make money on the OS they just want market share for mobile services. The handset manufacturers like the OS fragmentation because it allows more areas for them to keep, other than price and hardware features. The developers don’t like fragmentation, but eventually just as with Windows, they have to go where the users are if they want to make the most money. So the only real users that it bothers are advanced users, and so it isn’t a high priority for them to fix the situation, and so from a marketing perspective they can just deny it and the fragmentation will never be a big enough issue to affect change. Interestingly Googlers likely fall into the advanced user category as well, so I’m sure most of what pushes the improvements to fragmentation right now is just internal politics; though certainly most of them are using Google phones and so they’re somewhat immune. Developers go where the users are who are willing to spend money,not the ones which just bought a smart feature phone they don’t care about. In the long run, next upgrade cycle, even the/some feature phone users might go where the “useful” or perceived useful apps are. This is maybe the second inning, Apple on most US carriers, in what might be a very long game. People used to buy the computer which could run 123/Word Perfect not MS-DOS, not that there is any equivalent around so far. The truth is most owners, at least in the US, are not worried about having the current version of Android on their phone. They just want a phone that fits their needs at the time. Most couldn’t tell you what version of Android they are running unless shown. Yes, things could be a lot better but the fragmentation argument and other “techy” arguments only hold over in the tech crowd, which isn’t nearly a majority. Once you are locked into a 2 yr contract, the carriers have little incentive to care. Thats the flaw in Andy Rubin’s market hypothesis. If you could switch handsets easily, what he said would have been true. I would have to disagree in the big picture aspects. First, I think that marketshare dominance is the single most important factor for Google (now that the “quality” issue has been handled in spades, they simply have the best phones on the market right now). With marketshare comes mindshare, and developer priorities. These are more important that a uniform experience or lack of fragmentation. And they can’t keep marketshare without LG, HTC and Samsung fully on board. And they won’t be fully on board without the ability to brand, skin, and customize their phones. They just won’t do it, as +Chris Ziegler and friends have discovered in interviews. And, why are uniformity and lack of fragmentation not important? Because you and I are not the whole market. Personally, I am with you, Nexus all the way. But my wife prefers Sense (currently Rezound) and my daughter prefers Touchwiz (honestly! currently RazrMaxx). They don’t care about getting ICS, they don’t know Gingerbread from Froyo and don’t care. They just love their skinned experiences. My guess is that 95% of Android users (buying phones and buying apps and buying music, etc) don’t even know what OS version they are on and don’t care. We do, and we jump up and down and scream (I want my 4.0.4!! ), and maybe Google should work to make us happier. But NOT at the expense of alienating the OEM’s that are giving them their all-important marketshare. Kevin, are you suggesting they basically adopt Microsoft’s model, except keep it open? They might lose manufacturers, as that doesn’t really allow for any differentiation, other than HW features. And then you get into the problem of specifying which hardware features are acceptable (look at netbooks to see how well that turned out). that worked then, but it probably wouldn’t today. Windows phone may not even beat out RIM. That is true, but h/w is where the manufacturers should stay focused because that’s their core competence. I can’t think of any examples where a manufacturer has tried to differentiate using software and has been successful. Even mighty Apple’s software across it’s product lines is no more then what I would call ‘adequate’. Apple wins with hardware and ecosystem, not with remarkable software. Actually even on the Galaxy Nexus the carrier still has some say at least on the Verizon side of things. I have a Verizon Galayx Nexus and while Google does push the update to the handset, Verizon has the final say on whether it goes out or not. Most Verizon Galaxy Nexus phones are on Android 4.0.2. There were a selct few who had 4.0.4 pushed to them and there’s a manual way to put that build on your phone. However, Sprint’s version which is really close to the same handset launched with 4.0.4. LTE is the main culprit here. Verizon has a weird setup for it’s LTE authentication. But then wow, this LTE is blazing fast, and the 3G is everywhere. I would lose that speed, and coverage, if I swapped my Verizon Nexus for the GSM version. Why does LTE matter at all? Data caps prevent any significant video streaming and 3G is just fine for audio streaming, email, twitter, facebook, instagram, etc., etc., etc..
Mcbeese Verizon’s unlimited data is truly unlimited for those grandfathered in. No data caps period. @Meoyskie â€“ ok, that scenario makes sense. Beyond the case of those who are fortunate enough to enjoy unlimited data plans, I see little value with LTE. It may be blazing fast when it works but dropping connections makes it pointless. I forgot to say it’s with the authentication scheme that Verizon has on LTE. Something isn’t quite right with their network setup and that causes issues. I had enough, I went over to he dark side and picked up a iPhone 4s last week, boy am I happy. At least I am not at the mercy of the carriers. Adios Google and Android! Andy Rubin at one point said something along the lines that the market/user will take care of this problem and buy just from companies which will provide updates. Either the market doesn’t care or does and buys. But not what Andy expected. Or smart feature phones, no timely updates, won’t cut it in a world where the phone is the computer. BTW: Viruses mutate and sometimes kill their host because of that mutation, something some companies still have to learn.